With KeyQuest Health you always gain senior involvement from a core team who combine over 50 years’ international healthcare experience. This includes direct fieldwork experience in over 240 medical conditions and orphan diseases across 45 countries. Since we started in 2007 we have developed a wide reaching respondent and opinion pool across the globe. We are able to give our clients direct access to Healthcare Professionals (KOLs, Specialists, PCPs, Lab Personnel, Pharmacists, Nurses etc. ), Payers and Patients. Our core team is backed up by our own recruiters, moderators and analysts across the world. 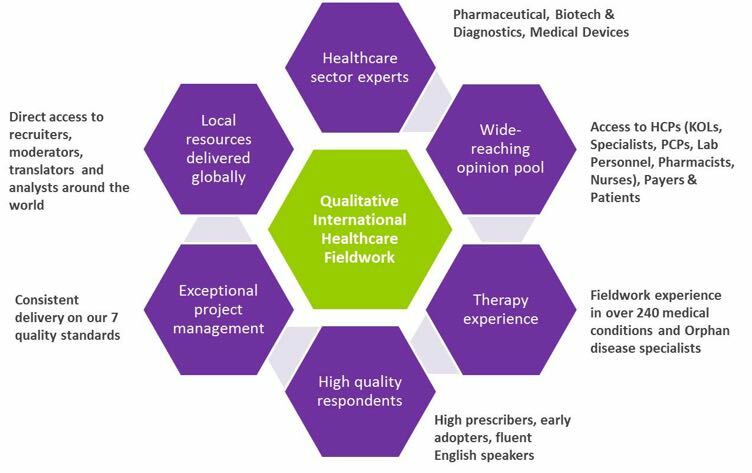 With offices in the UK and US we have developed a track-record for delivering prompt, clear and high quality responses to our healthcare clients’ international fieldwork requirements. Our project-management approach is built on 7 quality standards. 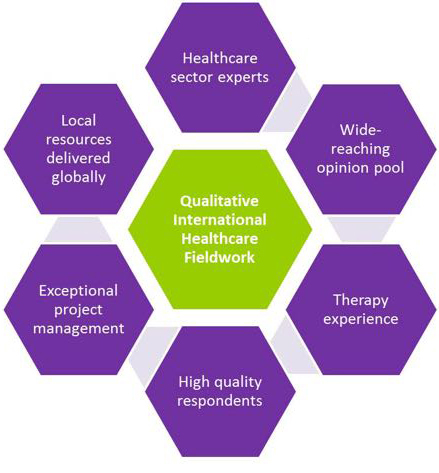 Many clients come to us for the high quality of our respondents and value the perseverance we demonstrate in finding the right respondents for their research study.